Torino have an injury crisis to contend with as they look to earn their first home win since October when they host Genoa on Saturday afternoon. Andrea Belotti suffered an injury in training in the week, and is added to Toro's lengthy list of absentees, alongside Lyanco, Cristian Ansaldi, Antonio Barreca, Adem Ljajic and Simone Edera. Thankfully, Belotti's injury is not as serious as first feared, and the Toro captain should hopefully be back after the Serie A winter break. Genoa's form has improved since the appointment of Davide Ballardini as coach in November and they have won two of their last four matches, including last weekend against Benevento. Torino dropped two points once again as they threw away a 2-0 lead to draw against SPAL on Saturday afternoon. Lyanco returned to the starting eleven replacing Nicolas Burdisso, whilst M'Baye Niang was preferred to Alex Berenguer in attack. Toro made the perfect start, and were ahead with less than 30 seconds on the clock, as Cristian Molinaro's long pass was half-volleyed home by Iago Falque. The Granata doubled their lead with only ten minutes gone, as Falque was quickest to react after Daniele Baselli's goal-bound shot was rebounded into his path. With only three minutes to half time, the home side pulled a goal back thanks to Federico Viviani's fantastic free kick from twenty-five yards. With twenty minutes remaining, SPAL were awarded a debatable penalty after VAR review when Lorenzo De Silvestri was adjudged to have tripped Alberto Grassi. Former Torino striker Mirco Antenucci converted the penalty to bring the newly promoted side level. Toro came within inches to claiming a victory in the dying seconds, but Andrea Belotti saw his header cleared off the line. Therefore, Toro had to make do with a point, as they once again threw away a two goal advantage. Torino will travel to Ferrara to face SPAL on Saturday afternoon in hoping of giving their supporters an early Christmas present. Toro have not faced SPAL in a league fixture since 1968, and on that occasion, Giorgio Ferrini and company were unable to find a breakthrough as they drew 0-0. Adem Ljajic is missing with injury, so M'Baye Niang could return to the starting eleven, whilst Lyanco could also replace Nicolas Burdisso in defence. Former Toro goalkeeper Alfred Gomis is SPAL's current number one, and he helped them win their last match against Benevento last Sunday. However, that was their first victory since October - although they are unbeaten in their last three home matches. Torino produced an excellent away performance to progress to the Quarter Finals of the Coppa Italia on Wednesday night. As expected Sinisa Mihajlovic did rotate his team, with Vanja Milinkovic-Savic, Lyanco, Joel Obi, Afriyie Acquah, M'Baye Niang and Simone Edera all coming into the starting eleven. Toro started well, and Lukasz Skorupski made an excellent save to deny Lorenzo De Silvestri from scoring a header. At the other end, Stephan El Shaarawy came so close to giving Roma the lead but his long range shot hit the bar. Skorupski once again performed heroics by denying Andrea Belotti's header, but this time the ball fell to Lorenzo De Silvestri and the former Lazio defender converted the rebound. In the second half, Toro were looking a threat on the counter attack, and Simone Edera could have doubled their lead but the youngster's lofted finish from Afriyie Acquah's assist went over the bar. Roma hit the woodwork for the second time in the match, as Patrik Schick's header glanced off the post. Toro took advantage of that bit of fortune by doubling their lead almost immediately, as substitute Alex Berenguer delivered an outstanding cross that was headed home by Simone Edera - his second goal in a month at the Stadio Olimpico. Roma had a chance back into the tie when they were awarded a penalty as Emiliano Moretti was harshly adjudged to have pulled back Schick, however, Edin Dzeko was denied by a magnificent save by Vanja Milinkovic-Savic. With five minutes remaining, the home side did reduce the arrears as Patrik Schick finished well from inside the area, but Toro held on and will now face neighbours Juventus in the Coppa Italia quarter finals. 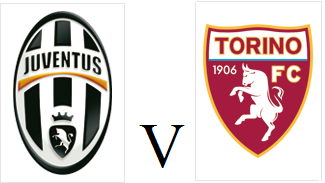 Torino will travel to Roma in the last 16 of the Coppa Italia on Wednesday evening looking to cause a cup upset. Defenders Kevin Bonifazi and Lyanco could receive rare starts, whilst Simone Edera and M'Baye Niang could also come into the team as Sinisa Mihajlovic may choose to rotate his squad. Roma are enjoying an impressive campaign under new coach Eusebio Di Francesco, and have already beaten Torino once this season already, a narrow 1-0 victory in Turin back in October. Torino were defeated for the first time since October as they were left to rue a nightmare first half hour against Napoli on Saturday evening. Alex Berenguer was once again preferred to Adem Ljajic, as Toro remained unchanged from the team who started the victory against Lazio on Monday. Toro were behind after only four minutes as Kalidou Koulibaly headed home from a corner following Allan's flick on. Dries Mertens could have doubled their lead moments later, but the Belgian international dragged his shot wide of the post. Napoli did double their lead after twenty-five minutes when Piotr Zielinski was awarded the freedom of Turin by a generous Torino back line to go clear of the defence and score. Five minutes later, Marek Hamsik made it 3-0 as he fired a Mertens assist into the top corner of Salvatore Sirigu's goal. Toro should have got a goal back before half time but Daniele Baselli was unable to make a significant contact on Iago Falque's excellent assist. Torino looked a lot more secure at the back in the second half, and with half an hour remaining, Andrea Belotti scored his first Serie A goal since September as he fired home from the edge of the area. Iago Falque wasted a good opportunity to reduce the deficit once more with a poor shot on his weaker right foot when well placed. However, Toro's hopes of an unlikely comeback were ended when they were reduced to ten men as substitute Adem Ljajic went off injured and the Granata had already made all three changes, and Napoli claimed a deserved victory. 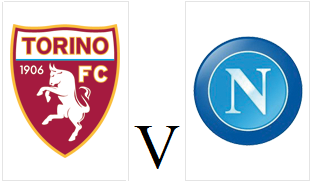 Torino will look to build on Monday's surprise victory against Lazio when they host Napoli on Monday evening. Adem Ljajic returns to the Toro squad after being dropped for the trip to Rome for disciplinary reasons, whilst M'Baye Niang also returns to the squad following injury. Napoli are mounting a serious scudetto challenge this season, and are only one point behind leaders Inter coming into this game. However, they have failed to win, or even score in their last two league matches, which may give Toro cause for optimism. Torino won their first away game since September as they benefited from former striker Ciro Immobile's first half red card on Monday evening. Cristian Molinaro and Mirko Valdifiori came into the starting eleven, whilst Adem Ljajic was dropped from the squad for a breach of discipline and replaced by Alex Berenguer. Toro started brightly, and were unlucky not to take the lead when Andrea Belotti's powerful effort hit the inside of the post following Iago Falque's clever assist. At the other end, Ciro Immobile should have done better when through on goal, but his delayed shot was finally blocked by Nicolas N'Koulou. Iago Falque was once again the provider as he played an excellent pass to find Cristian Molinaro in space, but the full back dragged his shot wide of the far post. One the stroke of half time the turning point occurred when Ciro Immobile clashed with Nicolas Burdisso in an off-the-ball incident. Immobile, who was already aggrieved by the referee's denial of a possible penalty for handball moments earlier, appeared to headbutt the Argentine after he had approached him. After the referee consulted VAR, Immobile was given a straight red card and Lazio would have to play the whole second half with only ten men. It took the Granata less than ten minutes to take advantage of their numerical superiority thanks to Alex Berenguer's solo effort, which was a mixture of skill and luck to earn the Spaniard his first Serie A goal. There was nothing lucky about Toro's second goal, as Venezuelan midfielder Tomas Rincon picked the ball up from outside the area before curling a left footed into the top corner - an incredible way to score his first Torino goal. Despite being down to ten men, the home side game themselves a lifeline when Andrea Belotti lost possession and Luis Alberto waltzed through the Toro defence to score. However, Torino re-established their two goal lead just four minutes later when substitute Simone Edera fired home an excellent left footed strike from just outside the area to clinch all three points. Torino will look to win their first away match in three months when they travel to Rome to face Lazio on Monday evening. The Granata have endured a disappointing campaign so far, with only four victories out of fifteen matches this season, and a run of four consecutive draws have not helped their quest for points. Cristian Ansaldi and M'Baye Niang are both unavailable due to injury, so youth team players Alessandro Fiordaliso and Ben Lhassine Kone are included in the squad for the first time. Lazio have been in excellent form, winning seven of their last nine Serie A fixtures, although they were held 1-1 by Fiorentina in their last home game. Torino were held to a fourth consecutive Serie A draw as they were unable to hold on to a lead given to them by Nicolas N'Koulou's first goal for the club. Nicolas Burdisso was once again preferred to Lyanco in defence, whilst Iago Falque started in place of M'Baye Niang who was not even on the bench. Torino, wearing an unfamiliar green strip in honour of Chapecoense, struggled to create many chances in a first half devoid of quality from both teams. However, on the stroke of half time, Nicolas N'Koulou headed home Adem Ljajic's corner to give Toro the lead. Atalanta introduced substitute Josip Iličić at half time, and within ten minutes the Slovenian made an instant impact as he broke through a weak Toro offside trap to equalise. Andrea Belotti forced an excellent save from Etrit Berisha whilst at the other end, Salvatore Sirigu saved well from Leonardo Spinazzola but both sides had to settle for a point. 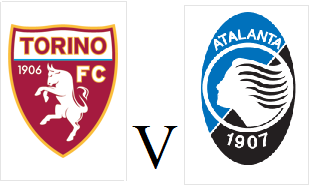 Torino will face Atalanta on Saturday evening looking to end a run of three consecutive draws to get their quest for a top 7 finish back on track. It has been announced that Torino will wear a special one off green shirt to commemorate the one year anniversary of the Chapecoense air disaster. Andrea Belotti got on the score sheet in mid-week against Carpi in the Coppa Italia, but has not scored a league goal for the Granata since September 20th. Atalanta were the surprise team of last season and have achieved some excellent results in the Europa League, including a 5-1 win at Everton. However, their league form has not been as impressive and have lost their last three away games, although they do come into this match above Torino in the table, on goal difference. Torino progressed to the last 16 of the Coppa Italia with a comfortable 2-0 victory over Carpi on Wednesday evening. Sinisa Mihajlovic resisted the temptation of wholesale rotation but Vanja Milinković-Savić and Kevin Bonifazi made their debuts for the Granata. Toro took the lead after less than twenty minutes after M'Baye Niang's short corner found Iago Falque on the edge of the area who fired a low shot into the net. The Granata doubled their lead when Niang's deep cross gave Andrea Belotti the simple task of heading home from close range as the Toro skipper ended his goal drought. Daniele Baselli and Andrea Belotti (twice) had good chances to extend Toro's lead in the second half, but they were wasteful in front of goal. In injury time, there was a curious incident when Toro were awarded a free kick thirty yards from goal, and up stepped Vanja Milinković-Savić - the Torino goalkeeper. Incredibly, Milinković-Savić almost found the target as his powerfully hit free kick thumped off the crossbar and bounced away to safety. 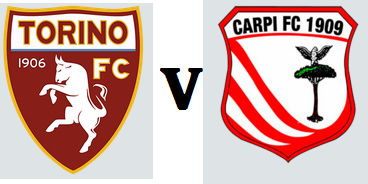 Torino face Serie B side Carpi in the last 32 of the Coppa Italia on Wednesday evening hoping to progress in a competition that provides a route to Europa League qualification. With Toro's league form being disappointing, a run in the Coppa Italia could revitalise their season. The Granata have won the the trophy on five occasions, most recently in 1993. Carpi are currently in mid-table in Serie B, but have not scored in any of their last five away games. Torino earnt a point against Sinisa Mihajlovic's former club in a match that ultimately cost Milan's current coach Vincenzo Montella his job. Nicolas Burdisso was once again preferred to Lyanco in defence, whilst M'Baye Niang started against his old club in place of Iago Falque. Croatian striker Nikola Kalinic had the first chance of the game but the former Fiorentina man could only hit the post when through on goal. Salvatore Sirigu made a good save to keep out Suso's free kick, whilst Andre Silva missed a great chance as AC Milan dominated the first half. Sirigu continued to perform heroics in the Torino goal as he produced a sensational double save to deny Kalinic. Incredibly, Toro almost stole all three points at the death as Iago Falque's close range shot was cleared off the line by a combination of Riccardo Montolivo and Gianluigi Donnarumma after Andrea Belotti's initial header was saved. However, Torino held on to earn their third successive Serie A draw and remain unbeaten at the San Siro in the 2017/18 season. 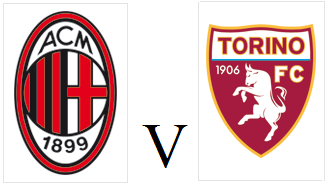 Torino travel to the San Siro for the second time this month, this time to face AC Milan on Sunday afternoon. The Granata earned a creditable 1-1 draw against Inter three weeks ago, but were unable to replicate that performance against Chievo last weekend, although they did ultimately achieve the same result. M'Baye Niang could feature against his former side, whilst centre back Lyanco could return to the starting eleven following injury. Despite much investment in the summer, AC Milan have so far been underwhelming this season and are only one place and one point above the Granata. Andrea Belotti missed a second half penalty as Torino were held to a 1-1 draw at the Stadio Grande Torino by Chievo. Sinisa Mihajlovic named the same starting eleven who played so well against Inter at the San Siro a fortnight ago, with Nicolás Burdisso being preferred to the fit again Lyanco. The away side started the game brightly, and Lucas Castro almost opened the scoring but his header rebounded of the post. However, Chievo didn't have to wait long to take the lead as Perparim Hetemaj out muscled Lorenzo De Silvestri to head home at the far post. Toro were level just after the half hour mark when Joel Obi's excellent cross was met by a fantastic looping header from Daniele Baselli. In the second half, Iago Falque was denied by a sensational save by Stefano Sorrentino as the former Toro keeper tipped his volley onto the bar, whilst Andrea Belotti blazed the rebound over the bar. With twenty minutes remaining, Torino were awarded a penalty with the assistance of VAR after Andrea Belotti was upended by Massimo Gobbi. However, the out of sorts Belotti was denied by the veteran Sorrentino, who guessed the right way to save what was a poor penalty. Chievo had Ivan Radovanović sent off in the dying moments, but Toro could not capitalise and had to make do with a point. Torino will look to make it back to back home victories when they face Chievo at the Stadio Grande Torino on Sunday afternoon. Toro impressed in their last match before the international break, gaining a well deserved 1-1 draw against Inter at the San Siro. Andrea Belotti suffered disappointment during the international break after Italy failed to beat Sweden in the Playoff for World Cup 2018. Brazilian defender Lyanco has recovered from injury, although Nicolas Burdisso impressed against Inter and could keep his place. Chievo also picked up an impressive result before the international break as they held leaders Napoli to a 0-0 draw at the Stadio Bentegodi. 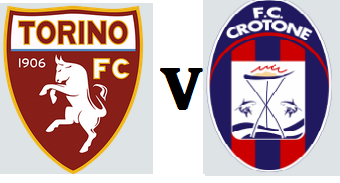 The 'Flying Donkeys' are only a point behind Torino, and therefore could overtake the Granata with a victory. Torino produced their best performance of the season so far as they almost inflicted a first defeat of the season on high flying Inter. Toro once again lined up in a 4-3-3 formation, with former Inter defender Nicolás Burdisso the surprise inclusion as the Argentine made his Granata debut. Daniele Baselli's had Toro's first effort but his long range effort was well saved by Inter keeper Samir Handanovič. At the other end, Salvatore Sirigu made an excellent stop to deny Milan Škriniar from heading home. Baselli went close once again just before half time, but the midfielder's near post header was turned round the post by Handanovič. Toro took the lead on the hour mark as Iago Falque, scored a goal typical of the Spanish winger as he cut in on his left foot before firing home. The Granata should have doubled their lead moments later, but Joel Obi somehow headed over the bar from close range after Adem Ljajic's free kick. Inter equalised ten minutes from time, as substitute Eder finished well following Mauro Icardi's assist. Torino will certainly feel disappointed with a point given the fact they took the lead, but the performance was extremely encouraging. Torino travel to the San Siro on Sunday afternoon looking to build on their much needed victory against Cagliari last weekend. Tomas Rincon is back from suspension and should return to the starting eleven, whilst Lyanco has recovered from injury and is back in the squad. Inter are currently unbeaten this season and only two points behind leaders Napoli in what has been an impressive start for new coach Luciano Spalletti. 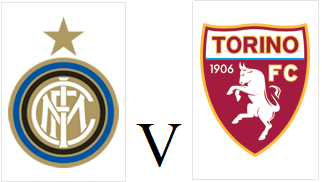 However, Toro have a surprisingly good record away to Inter in recent seasons, having won two of the last three meetings between the sides at San Siro. Torino won for the first time since September as they came from behind to clinch a crucial three points against Cagliari. Sinisa Mihajlovic, who was rumoured to be facing the sack should Toro lose, changed to a 4-3-3 formation for this match and was also boosted by the news that Andrea Belotti was available following injury. The Granata went behind after half an hour following a quick fire counter attack that resulted in Diego Farias finding Nicolò Barella who finished well. Toro only had to wait ten minutes for their equaliser, and it was another well worked goal, as Adem Ljajic found Cristian Ansaldi in space, and the versatile Argentine crossed for Iago Falque to tap home. In the second half, Adem Ljajic and Andrea Belotti both missed excellent chances to give Toro the lead. However, with twenty five minutes remaining, Cagliari failed to clear the ball from a corner, and substitute Joel Obi headed home from close range. Andrea Belotti and Daniele Baselli both missed late chances to increase the margin of victory and reduce the nerves of the supporters, but Toro managed to hold on for a much needed victory. Torino coach Siniša Mihajlović may need to beat Cagliari at the Stadio Grande Torino on Sunday evening in order to save his job. The Serbian is under pressure at the Granata after a run of five matches which has only returned two points and included a heavy derby defeat. Antonio Barreca and Tomas Rincon are both suspended so Cristian Molinaro and Afriyie Acquah could deputise, whilst M'Baye Niang could be deployed as a central striker in place or the frustrating Umar Sadiq. Cagliari have lost five of their last six matches, but picked up an important victory in midweek to deny Benevento their first ever Serie A point, thanks to an injury time winner. Torino's poor form continued as they fell to a disappointing 3-0 defeat against Fiorentina, and ended the match with only ten men. Antonio Barreca replaced Cristian Molinaro in the only change from Sunday's defeat against Roma, and Toro started the game brightly. Iago Falque almost capitalised on Marco Sportiello's poor goal kick, however the Spaniard's shot was deflected wide. The home side took the lead somewhat against the run of play, and it was obviously former Toro midfielder Marco Benassi who scored the goal, with a powerful strike past Salvatore Sirigu. Torino responded well, and Emiliano Moretti volleyed against the bar after the Viola failed to clear from a corner. Sinisa Mihajlovic made a change at half time, as Alex Berenguer replaced Umar Sadiq and M'Baye Niang moved upfront. The substitution almost paid off immediately, as Niang went through on goal, but the crossbar denied the Granata once again. Salvatore Sirigu was keeping the Granata in the contest as the former Palermo man made excellent saves to twice deny Federico Chiesa, as well as making a sensational save from Valentin Eysseric. However, he could do nothing to deny Giovanni Simeone, who doubled Fiorentina's lead with an excellent half-volley from just outside the area. The match was ended as a contest less than ten minutes later when Antonio Barreca was adjudged to have pushed Chiesa in the area and was harshly sent off. Khouma Babacar converted the penalty to add more misery to the visiting Torino supporters and also increase the pressure on Granata coach Sinisa Mihajlovic who may need to beat Cagliari on Sunday to save his job. 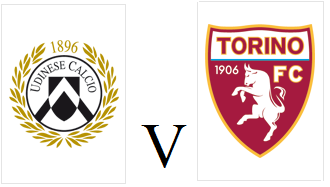 Torino travel to Fiorentina on Wednesday evening looking for their first victory since a 3-2 win at Udinese a month ago. Antonio Barreca should start at left back after returning from injury, whilst Umar Sadiq is expected to keep his place up front. 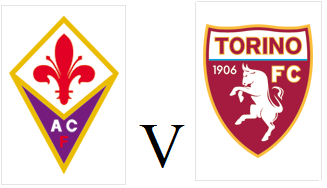 Fiorentina are one place above Torino in the Serie A table on goal difference, but come into this match in much better form having won their last two matches. Former Toro midfielder Marco Benassi, who joined the Viola in the summer, was on target in Sunday's 3-0 victory at Benevento. Torino's winless run stretched to four matches as they fell to a narrow defeat to Roma on Sunday afternoon. Toro were unchanged from the team who drew with Crotone last week, with striker Umar Sadiq continuing to deputise for the injured Andrea Belotti. The unorthodox Sadiq was causing problems for his parent club, when he could stay onside, and the Nigerian blazed over the bar when through on goal. On the stroke of half time, Roma should have taken the lead but Kevin Strootman somehow failed to convert from only two yards out. Toro looked unusually toothless in the final third and struggled to create clear cut chances in the absence of Andrea Belotti. With twenty minutes remaining, Aleksandar Kolarov struck an excellent free kick from twenty five yards past Salvatore Sirigu to give the away side the lead. Torino, who if truth be told, never looked like scoring all afternoon could not find an equaliser and fell to their second defeat of the Serie A season. Torino will look for their first win in a month when they host Roma at the Stadio Grande Torino on Sunday afternoon. Toro are still without the injured Lyanco and Andrea Belotti, but Antonio Barreca and Afriyie Acquah are back in the squad. Roma have won all three of their Serie A away fixtures and earned an impressive 3-3 draw at Chelsea in the Champions League on Wednesday night. For the second Torino game in a row there was injury time drama, but on this occasion it was Lorenzo De Silvestri who rescued a late point for the Granata. Emiliano Moretti replaced the injured Lyanco, whilst Umar Sadiq replaced Andrea Belotti to make his long-awaited debut. The home side took the lead after only twenty five minutes when Swedish winger Marcus Rohden curled home a low shot past Salvatore Sirigu. Tomas Rincon, Adem Ljajic and M'Baye Niang all had chances for the Granata before the break, but they went in at half time behind. Toro started the second half well and they equalised after only eight minutes thanks to Iago Falque's long range effort. However, Torino fell behind once again ten minutes later thanks to Bruno Martella's clever finish following another attack down the left wing. 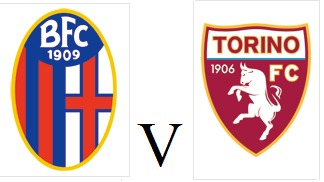 Just when it looked as though Toro may be heading towards a surprise defeat, two minutes into injury time Lorenzo De Silvestri headed home to earn Torino a point. Torino will look to recover from their embarrassing collapse against Hellas Verona a fortnight ago when they travel south to face Crotone on Sunday afternoon. Toro let slip a two goal lead in the dying moments against Hellas, with star striker Andrea Belotti also picking up an injury in that match which will keep him out of action for a month. Sinisa Mihajlovic has suggested that Umar Sadiq will finally make his Toro debut and replace Belotti in attack. The Granata have been dealt another blow as talented defender Lyanco was injured in training and will also miss out. Former Toro defender Arlind Ajeti now plies his trade for Crotone, who have only won one game this season, a 2-0 victory against newly promoted Benevento in their last home fixture. Torino threw away a victory in the dying moments as they conceded two late VAR assisted goals at home to Hellas Verona on Sunday afternoon. Mirko Valdifiori made his first start of the season for Toro in midfield whilst Cristian Molinaro was preferred to Cristian Ansaldi at left back. The away side were the dominant team in the early stages, and both Martin Caceres and Mohamed Fares had chances to give Hellas a shock lead. However, Toro would take the lead on the half hour mark when Adem Ljajic's excellent diagonal ball found Cristian Ansaldi, and the substitute crossed for Iago Falque to score from close range. On the stroke of half time, Torino doubled their lead thanks to an individual effort from M'Baye Niang, his first goal for the Granata since signing from AC Milan. Toro had chances to extend their lead, but Ljajic, Niang and Andrea Belotti all missed great chances to score. The turning point occurred ten minutes from time when Belotti had to be stretchered off with a knee injury and with all substitutions all used up, Toro were left with only ten men. Verona pulled a goal back when on loan Juventus striker Moise Kean diverted Alessio Cerci's shot into the net after a goal-line scramble. The goal was originally disallowed by the linesman for offside, but the VAR official overruled that decision and awarded the goal. In the next attack, Hellas were awarded a penalty (via VAR) when Cristian Molinaro inexplicably handled Cerci's cross. Giampaolo Pazzini stepped up to score from the spot to earn Hellas an unlikely point, despite having Bruno Zuculini sent off deep into injury time. Torino will look to respond from last weekend's derby disappointment with a home fixture against Hellas Verona at the Stadio Grande Torino. Toro will be without the suspended Daniele Baselli who is likely to be replaced by either Mirko Valdifiori or Samuel Gustafson, whilst Cristian Ansaldi should continue at left back. Hellas have had a difficult return to the top flight since gaining promotion in the summer, having failed to win any of there six matches - conceding fourteen goals in the process. The gialloblu have a familiar face in the squad in the shape of Alessio Cerci who starred in the Granata shirt as they qualified for the Europa League, before departing to join Athletico Madrid at the end of that campaign. It was a Derby Della Mole to forget for Torino as Daniele Baselli's early red card allowed Juventus to prevail with a comfortable 4-0 victory. Cristian Ansaldi was preferred to Cristian Molinaro at left back whilst Lyanco kept his place after impressing in the victory at Udinese. In the early stages, Juan Cuadrado's shot was tipped over the bar by Salvatore Sirigu, whilst Adem Ljajic fired a shot over the bar for the visitors. The home side took the lead after sixteen minutes when Paulo Dybala capitalised on a mistake from former team mate Tomas Rincon and fired a low shot into the bottom corner from just outside the area. Less than ten minutes later the turning point of the match occured when Daniele Baselli received a second yellow card for a wild challenge on Miralem Pjanic and Toro were reduced to ten men. Five minutes before half time Juve doubled their lead with another strike from outside the area, with Miralem Pjanic sweeping the ball past Sirigu. Any hopes of a memorable comeback were extinguished early in the second half as Alex Sandro headed home from a corner. The margin of victory could have been even greater had it not been for the excellent Sirigu who made fantastic saves to deny both Mehdi Benatia and Douglas Costa. However, Juventus did add a fourth goal in injury time with Dybala scoring his second of the game to add to Torino's misery. Torino will look to go one step further than last season and beat Juventus at the Allianz Stadium for the first time on Saturday evening. The Granata were minutes away from victory in May after Adem Ljajic's sensational free kick, but Gonzalo Higuain came off the bench to rescue a point in injury time. Both Turin clubs come into this Derby Della Mole clash unbeaten although Juventus have won all five Serie A matches so far, whilst Toro have drawn with Bologna and Sampdoria. Lyano and Cristian Ansaldi will be pushing to start after impressing in mid-week in the victory at Udinese, whilst Afriyie Acquah who was controversially sent off in the last game against Juventus is back in the squad after injury. Torino won their third match of the season as they beat Udinese 3-2 in an entertaining clash on Wednesday evening. Cristian Ansaldi and Lyanco both made debuts for the Granata as Sinisa Mihajlovic rotated his defence ahead of the derby on Saturday. Toro were ahead within ten minutes when Adem Ljajic's long range shot could only be parried by Simone Scuffet and Andrea Belotti pounced to open the scoring. Andrea Belotti was also instrumental in Torino's second goal, as il Gallo's persistence on the left wing eventually forced an own goal from the unfortunate Emil Hallfredsson. Udinese reduced the arrears when Nicolas N'Koulou was harshly adjudged to have upended substitute Jakub Jankto in the area and the home side were awarded a penalty, which was converted by Rodrigo De Paul. However, Torino re-established their two goal lead thanks to Ljajic's clever finish as the Serbian found a gap for his low shot. Udinese ensured a nervy last fifteen minutes when Kevin Lasagna diverted De Paul's shot past Salvatore Sirigu to make it 3-2. With the final kick of the game, the home side had a chance to equalise but Jankto was denied by a heroic block from debutant Ansaldi. 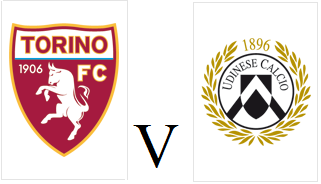 Torino will travel to Udine on Wednesday evening looking to earn their third victory of the season against Udinese. Despite earning victories against Sassuolo and Benevento, the Granata have yet to look that convincing this season, and with the derby against Juventus on the horizon, Sinisa Mihajlovic will hope for that to change sooner rather than later. Mihajlovic is likely to rotate his squad, with Brazilian defender Lyanco and deadline day signing both Cristian Ansaldi expected to make their debuts. Udinese have only won one of their four fixtures so far this season, with the other three matches resulting in defeat. Former Toro striker Maxi Lopez could feature against his old team, having started the last match against AC Milan. 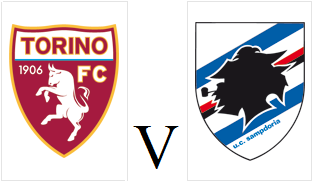 Torino conceded in the opening minute, but fought back to maintain their unbeaten start to the season with a 2-2 draw with Sampdoria on Sunday afternoon. Toro made only two changes from the team who started last weekend's victory at Benevento, with Antonio Barreca replacing Cristian Molinaro and Daniele Baselli coming in for the injured Joel Obi. Duvan Zapata, who was often linked with a move to Torino in the transfer window, gave Samp the perfect start as the Colombian capitalised on a mistake by Emiliano Moretti to fire past Salvatore Sirigu. However, Toro were level just ten minutes later with Daniele Baselli scoring a sensational goal from outside the area. The Granata then took the lead moments later when Adem Ljajic fed Andrea Belotti and the Toro captain scored with an accurate left footed finish. Sampdoria were level before half time as former Toro striker Fabio Quagliarella was left unmarked at the far post and was able to tap home Ivan Strinic's cross. M'Baye Niang had a great chance to score his first goal in a Toro shirt, but he could only clip the post when one on one with Christian Puggioni. Andrea Belotti and substitute Simone Edera both had chances to give Toro a victory, but Torino had to make do with a point. Torino will look to maintain their unbeaten start to the season when they host Sampdoria at the Stadio Grande Torino on Sunday afternoon. Toro have a midfield injury crisis with Afriyie Acquah and Joel Obi picking up injuries in the narrow victory over Benevento, but Mirko Valdifiori is included in the squad for the first time this season after recovering from his own injury. Sampdoria have won both their games this season, but have not played since August 27th as last weekend's fixture against Roma was postponed due to flooding in the Genoa area. Torino left it late to claim their second Serie A victory of the season as Iago Falque's injury time winner gave the Granata all three points. Toro made two changes from the side who beat Sassuolo, as Cristian Molinaro replaced Antonio Barreca and M'Baye Niang made his debut, with the deadline day arrival replacing Alex Berenguer. Amato Ciciretti came close to opening the scoring for the home side, but his free kick was tipped over the bar by Salvatore Sirigu. At the other end, Adem Ljajic was looking bright in the early stages, and the Serbian international twice forced Vid Belec into making a saves from long range. Moments before half time, Sirigu produced a sensational save to turn Massimo Coda's goal bound shot around the post. Benevento were creating chances, especially on the counter attack, and Sirigu once again had to be at his best, this time to deny substitute Achraf Lazaar. However, in the dying seconds, Benevento were cruelly denied a first ever Serie A point as Adem Ljajic's excellent through ball found Iago Falque, and the Spaniard kept calm to secure a somewhat undeserved victory. Torino will look to make it consecutive Serie A victories when they face newly promoted Benevento on Sunday evening. The Granata were impressive 3-0 winners over Sassuolo before the international break, with Andrea Belotti scoring an early 'goal of the season' contender. New signings Cristian Ansaldi, Nicolas Burdisso and M'Baye Niang are all included in the squad, whilst Daniele Baselli has recovered from injury and could feature. Benevento have lost both their opening two fixtures against Sampdoria and Bologna, both by a single goal margin, although former Toro winger Vittorio Parigini could make his debut for the Stregoni. Toro have never faced Benevento in league action before, but they did meet in the Coppa Italia in 1982, with Torino coming from behind to emerge 2-1 winners. With the summer transfer window closing on Thursday, here is a summary of all the deals done including a number of dramatic transfers on the final day. Torino started their business early, with deals to sign Brazilian defender Lyanco and goalkeeper Vanja Milinković-Savić arriving from São Paulo and Legia Gdansk before the transfer window had even officially opened. Goalkeeper Salvatore Sirigu signed on a free transfer from PSG to replace Joe Hart who had returned to Man City after his loan spell expired. Cameroon international Nicolas N'Koulou was a surprise arrival from Lyon, with the defender arriving on loan with an option to make the deal permanent. Midfielder Tomás Rincón also arrived on loan from local rivals Torino, although the Granata will be obliged for this to become permanent at the end of the campaign. Spanish winger Alex Berenguer arrived from Osasuna on a permanent deal, with Toro seeing off interest from Napoli to sign the talented youngster. Striker Umar Sadiq signed on loan from Roma to provide back up for Andrea Belotti in a complicated deal which Toro can make permanent, but Roma also have a counter option. A number of players have left the club in the summer, with Daniele Padelli joining Inter after his contract at the club expired. Defenders Carlão and Arlind Ajeti joined APOEL and Crotone on loan, whilst Gaston Silva and Luca Rossettini left permanently to sign for Pumas and Genoa. Marco Benassi was Torino's highest profile departure, with the highly rated midfielder leaving the club to join Fiorentina. Saša Lukić left the club to join Levante on loan, whilst Mattia Aramu went to Virtus Entella on a temporary basis. A number of deals also took place on deadline day, with Davide Zappacosta surprisingly being signed by Chelsea in a deal that could be worth €30m. Zappacosta was replaced by Inter defender Cristian Ansaldi, who signed on a two year loan with an obligation to make permanent. Fellow Argentine Nicolás Burdisso also signed for Toro on a free transfer, whilst Torino's marquee signing of the summer also took place on the final day, with M'Baye Niang signing from AC Milan in a deal which will break Toro's transfer record. There were also outgoings on Thursday, with Danilo Avelar leaving to join French side Amiens, Maxi Lopez departing for Udinese, and Vittorio Parigini for Benevento. Torino won their first game of the new season as they kept their first clean sheet since January with a 3-0 victory over Sassuolo. Lorenzo De Silvestri, Antonio Barreca and Tomas Rincon all came into the team from the side who drew with Bologna on the opening day. Toro made a bright start in the opening ten minutes, but first Alex Berenguer, and then Andrea Belotti were unable to make contact with crosses from the right wing. The Granata took the lead on the stroke of half time in a move started by an excellent piece of composure by new signing Nicolas N'Koulou. The Cameroon international then passed the ball to Lorenzo De Silvestri whose deep cross was scissor-kicked into the net by Andrea Belotti. The away side almost equalised in fortuitous circumstances as his cross was deflected and almost beat Sirigu at his near post but it instead hit the post. Simone Edera almost made an instant impact after coming off the bench, but dragged his shot wide of the target within seconds of entering the pitch. However, Toro doubled their lead with just over five minutes remaining as Iago Falque intercepted a poor back pass by Alfred Duncan, and unselfishly set up Adem Ljajic who scored his second of the season. Toro added a third goal minutes later as a great run by Belotti resulted in the Granata skipper cutting the ball back for Joel Obi who side-footed home. Torino will look for their first victory of the new Serie A season when they face Sassuolo at the Stadio Grande Torino on Sunday evening. Brazilian defender Lyanco is available after injury and could make his debut, whilst Tomas Rincon could make his first start in midfield. 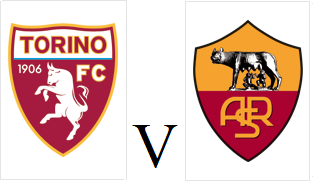 This was an entertaining fixture on the final day of last season, with Toro prevailing as 5-3 winners, with Iago Falque and Andrea Belotti both on the scoresheet. The Sassuolo coach on that day, Eusebio Di Francesco, has since left the club to join Roma, so it was new coach Cristian Bucchi who oversaw their opening game of the season last weekend - a 0-0 draw at home to Genoa. Torino opened the 2017/18 Serie A season with an away draw against Bologna, but saw a late winner disallowed in farcical circumstances due to confusion over the new VAR system. Salvatore Sirigu, Nicolas N'Koulou and Alex Berenguer all made debuts for Toro, whilst Afriyie Acquah was a surprise starter despite speculation regarding his future. There was a minute's silence before the match to pay tribute to the victims of the terrorist attack in Barcelona on Thursday. This was particularly poignant for Toro fans, because one of the Italian victims, Luca Russo, was a Torino supporter. Andrea Belotti had Torino's first chance of the match, but he headed Davide Zappacosta's fine cross wide of the target. However, just before the half hour mark, Toro fell behind when Federico Di Francesco fired a fine left footed volley into the top corner. Toro were level just six minutes later thanks to a fine individual goal from Adem Ljajic, as the Serbian playmaker nutmegged a defender before hitting a low shot into the corner of the net - although Antonio Mirante will be disappointed not to save it. Mirante made amends in the second half by making an excellent save to deny Ljajic's long range free kick. With only minutes remaining, Toro thought they had a winner when Alex Berenguer converted after Andrea Belotti's assist, however the referee had already blew his whistle to check with the Video Assistant Referee whether Belotti had been offside in the build up. It turned out that Belotti was on side as the through ball came off a Bologna player, and therefore Toro had been denied a valid winning goal due to a refereeing error. However, Toro made a promising start to the new season and will now look for their first victory of the season at home to Sassuolo next Saturday. 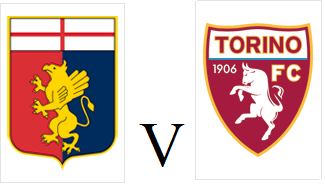 Torino will begin the 2017/18 Serie A season with a trip to Bologna, hoping to start the new campaign with a victory. Toro have managed to keep hold of prized asset Andrea Belotti, whilst new signings Salvatore Sirigu, Nicolas N'Koulou and Alex Berenguer should all start. However, the Granata have not kept a clean sheet since January 8th and lost this fixture last season 2-0 - albeit without the suspended Belotti. Bologna have already been eliminated from the Coppa Italia after an embarrassing 3-0 home defeat to Cittadella after former Toro winger was sent off after only five minutes. Torino made a stunning start to the new season with a thumping 7-1 victory against Serie C side Trapani on Friday evening to progress to the next round of the Coppa Italia. Siniša Mihajlović chose to line up with arguably his strongest available eleven as Salvatore Sirigu, Nicolas N'Koulou and Alex Berenguer all made debuts. Toro were ahead after only thirteen minutes as Adem Ljajic's excellent through ball found Andrea Belotti, and il Gallo slid the ball past Richard Marcone to open his account for the season. However, Trapani were surprisingly level five minutes later when defender Pasquale Fazio headed home at the near post from a corner. However, Fazio then diverted Belotti's cross into his own net as Toro quickly regained the lead. Spanish winger Alex Berenguer scored a debut goal after rounding the keeper, whilst Belotti and Joel Obi both scored before the break to give Toro a 5-1 half time lead. Iago Falque volleyed home a lovely Adem Ljajic assist to score a sixth, whilst substitute Lorenzo De Silvestri scored from an acute angle in the closing minutes to give Toro the perfect start to the new campaign. Torino's final 90 minutes of the 2016/17 Serie A season was an entertaining encounter which typified their campaign as a whole as they beat Sassuolo 5-3 at the Stadio Grande Torino. Toro took the lead with only six minutes on the clock as Lucas Boyé collected the ball on the left wing before beating his man and curling an inch-perfect shot into the far corner to score his first Serie A goal. However, Sassuolo were level less than ten minutes later, as despite Joe Hart's excellent save from Stefano Sensi, Gregoire Defrel was on hand to score. That goal would mean that Hart would not end his Toro career with a clean sheet - and that the Granata would fail to keep a clean sheet in the entire second half of the season. Toro regained the lead when Andrea Belotti's exquisite assist gave Daniele Baselli the freedom of the Stadio Grande Torino to pick his spot and score. Defrel grabbed his second equaliser of the game when he converted Matteo Politano's inadvertent pass and fired passed Joe Hart. Torino re-gained the lead on the stroke of half time when Lorenzo De Silvestri scored his first goal for the club after finishing a move that he started. Iago Falque added a fourth for Toro after capitalising on a heavy touch from his own team mate Andrea Belotti which then presented the ball on a plate for the former Roma winger. However, Belotti would have a much deserved goal of his own to celebrate as he fired past Gianluca Pegolo to add a fifth. Gregoire Defrel was able to complete his hat trick from the penalty spot after substitute Juan Iturbe upended Pol Lirola. Toro ended what has been a mixed campaign on a high with and entertaining final game which secured a 9th placed finish in Sinisa Mihajlovic's debut season. 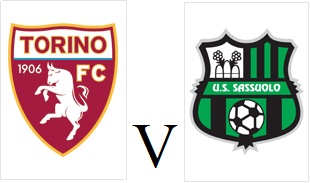 Torino will conclude their 2016/17 Serie A season with a home fixture against Sassuolo at the Stadio. Grande Torino on Sunday evening. The Granata will either finish 9th or 10th in Sinisa Mihajlovic's debut season, a campaign which promised much initially, but an inability to keep clean sheets ruined Toro's hopes of European qualification. In fact, Toro's last clean sheet was actually against Sassuolo back in January. Adem Ljajic is suspended so Toro may revert back to a 4-3-3 formation, whilst Joe Hart will almost certainly be playing his last game for the club as his loan deal expires at the end of this game. Sassuolo have won three of their last five games and are looking for a top 10 finish for a second consecutive season. Torino fell to a second successive Serie A defeat after a 2-1 defeat against lowly Genoa on Sunday afternoon. The home side started the brighter, as they knew that a victory could secure their Serie A status and took the lead just after the half hour mark when Luca Rigoni turned in a free kick from close range. Toro were struggling to create chances against their more motivated hosts, who doubled their lead ten minutes into the second half when Giovanni Simeone was on hand to score after Joe Hart parried Darko Lazovic's initial shot. Toro did get a goal back in the dying minutes when Adem Ljajic's free kick deflected off the wall and into the net - but there was to be no way back for the Granata. 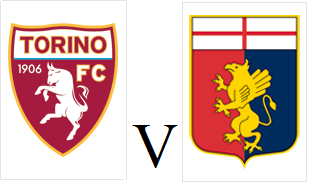 Torino will travel to Genoa for their last away game of the season on Sunday afternoon looking for redemption after last weekend's embarrassing home defeat. Sinisa Mihajlovic has said that he demands a reaction from his players following their 5-0 home defeat against Napoli, and the team have been in ritiro in order to prepare for this match. Andrea Belotti is still in the hunt for the Capocannoniere, but is three goals behind Edin Dzeko who has 28 goals for the campaign. Genoa are only two points above the relegation zone and are desperate for a victory in order to maintain their Serie A status for next season. Torino lost only their second home game of the season as they fell to an embarrassing 5-0 defeat to Napoli on Sunday afternoon. Carlão and Marco Benassi came into the starting eleven to replace the suspended Emiliano Moretti and Afriyie Acquah but made the worst possible start. After only seven minutes, José Callejón fired the away side into the lead as he slid the ball past Joe Hart from an acute angle. Toro were struggling to create clear cut chances, but in the early stages of the second half, Lucas Boyé almost scored his first Serie A goal but curled his shot narrowly wide. The Granata were made to pay for that miss, as Lorenzo Insigne doubled Napoli's lead following Dries Mertens' assist. The Belgian then scored a goal of his own as he beat Joe Hart at his near post with a fierce shot. Quick fire goals from José Callejón and Piotr Zielinski followed as Torino were dealt a heavy defeat in their penultimate home game of the season. Toro are unbeaten in their last seven matches, but have not won any of their last four home fixtures and are without a clean sheet since January. The Granata will be without the suspended Emiliano Moretti and Afriyie Acquah so will have to make at least two changes from the side that came so close to beating Juve. Napoli are competing with Roma to finish 2nd and avoid the dreaded Champions League playoff and are on their own long unbeaten run, and have won 7 of their last 8 away games. Torino suffered late Derby Della Mole heartbreak for the third consecutive season as Gonzalo Higuaín scored a 92nd minute equaliser to deny 10 man Toro a famous victory. Emiliano Moretti partnered Luca Rossettini in the centre of defence, whilst Lucas Boyé was chosen in place of Juan Iturbe. Juventus had the first chance of the game as Mehdi Benatia headed against the bar, whilst Leonardo Bonucci then blazed over from close range. Joe Hart then made good saves to deny first Stephan Lichtsteiner, and then Paulo Dybala as Toro went in at the break level. Seven minutes into the second half, Toro were awarded a free kick around twenty-five yards out when Kwadwo Asamoah handled the ball. Adem Ljajic stepped up and hit an inch perfect free kick into the top corner to give the Granata a shock lead. However Toro's joy soon turned to dismay five minutes later when midfielder Afriyie Acquah was controversially dismissed after receiving a second yellow card for a challenge on Mario Mandžukić. Replays appeared to show that the Ghanaian midfielder did win the ball, and to make matters worse, Granata coach Siniša Mihajlović was dismissed from the touchline for his protestations. Tomás Rincón and Sami Khedira both missed good chances for the home side, and just when it looked as though Toro may record a memorable victory, subsititute Higuaín struck. The Argentine striker collected the ball just outside the area before hitting a fiece half-volley into the bottom corner to break Torino hearts. Torino will head into the 195th Derby Della Mole on Saturday evening looking to emulate the great Toro sides of the past. This fixture will undoubtedly be an emotional one, as only two days have passed since the 68th anniversary of the Superga air disaster - a tragedy that killed the entire Grande Torino squad. On Thursday, the current squad joined supporters in paying tribute to Torino's greatest ever team, and now those players now have an opportunity to write their own names in the history books. Toro's away form has been poor for most of the campaign, however consecutive away victories at Cagliari and Chievo may gave their supporters hope that a result at the Juventus stadium is possible. Emiliano Moretti should partner Luca Rossettini in central defence, whilst Juan Iturbe could start after scoring against Sampdoria last weekend. Juventus could win the title this weekend, should they win and Roma fail to do so tomorrow against AC Milan. However, Massimiliano Allegri is expected to rotate his squad ahead of their Champions League Semi Final 2nd leg on Tuesday. Torimo were held for their fourth consecutive home game as they drew 1-1 with Sampdoria on Saturday night. Adem Ljajic went close in the early stages but his effort went narrowly wide of the post. However, at the other end, Sampdoria took the lead with only twelve minutes gone as Czech striker Patrik Schick fired home from just outside the area. Iago Falque and Lucas Boyè both missed good chances for the Granata as they went in at the break behind. However, with just over ten minutes remaining, substitute Juan Iturbe equalised for Toro after capitalising on a defensive error to score his first goal for the club. In the dying seconds, top scorer Andrea Belotti had a great chance to win the game for Torino but he somehow headed over the bar from close range. Torino will look to end their run of three consecutive home draws when they face Sampdoria at home on Saturday evening. Carlão should return to the starting eleven in place of Emiliano Moretti, whilst Lucas Boyé may retain his place after impressing in the victory at Chievo. Sampdoria are currently one place and three points behind Toro in 10th position, but come into the game having lost their last two matches. Torino have won consecutive away games for the first time this season following an impressive 3-1 victory at Chievo. Danilo Avelar made his first start of the season at left back, whilst Luca Rossettini and Lucas Boyé also came into the starting eleven. Boyé looked lively in the opening stages, and his deflected shot forced a good save from former Toro keeper Stefano Sorrentino. Toro took the lead early in the second half as Adem Ljajic found space and drilled a low shot into the bottom corner from just outside the area. The Granata doubled their lead four minutes later when substitute Davide Zappacosta fired home a sensational volley as the home side failed to clear a corner. However, Torino's long wait for a clean sheet will go on as Chievo pulled a goal back through veteran striker Sergio Pellissier who scored with a clever chipped finish over Joe Hart. On this occasion, Torino's defensive frailties didn't come back to haunt them as Iago Falque's deflected strike made sure of all three points with fifteen minutes remaining. 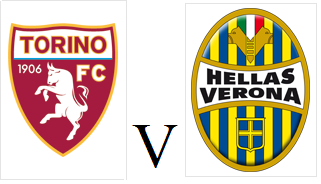 Torino will look to maintain their recent unbeaten record when they travel to Verona to face Chievo on Sunday afternoon. 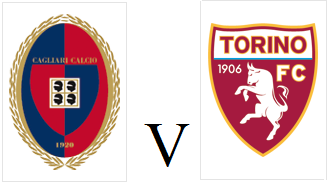 However, Toro have only won one of their last four matches since last tasting defeat - however that victory did come in their last away game at Cagliari. Danilo Avelar is included in the squad and could start with Cristian Molinaro injured, whilst youngsters Matteo Rossetti and Manuel De Luca have been called up to the squad with Sasa Lukic and Juan Iturbe unavailable. 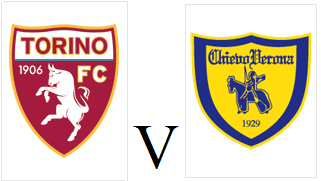 Chievo are safely ensconced in mid-table, however their recent form has been poor - losing their last four matches. Torino were held to a disappointing 1-1 draw with relegation-threatened Crotone on Saturday afternoon, despite Andrea Belotti scoring once again. Sinisa Mihajlovic decided to field an attacking 4-2-4 line up, with Maxi Lopez partnering Andrea Belotti up front with Adem Ljajic and Iago Falque on the wings. However, it was the away side who had the first chance but Lorenzo Crisetig fired narrowly over the bar from long range after Toro failed to clear their lines. At the other end, Crotone goalkeeper Alex Cordaz was in fine form as he made great stops from close range to deny both Belotti and Lopez, and also tipped a long range Adem Ljajic effort over the bar. Cordaz continued to frustrate Toro, this time making excellent reflex saves from Davide Zappacosta and then Iago Falque. With twenty-five minutes remaining the Granata were awarded a penalty when Federico Ceccherini fouled Andrea Belotti in the area. Despite missing from the spot on three occasions already this season, Belotti stepped up to take the spot kick and the outstanding Cordaz was finally beaten. However, with ten minutes remaining Crotone scored a shock equaliser as Joe Hart failed to deal with a deep cross and Andrea Nalini headed the ball back across goal for Simy to score. In injury time, Andrea Belotti almost turned provider for Lucas Boyé, but the Argentine was denied by an excellent challenge from Nalini to earn a much needed point for Crotone. 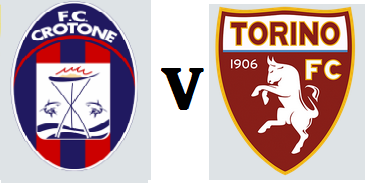 After two consecutive 2-2 draws at the Stadio Grande Torino, Toro will hope to claim all three points when they welcome relegation threatened Crotone on Saturday afternoon. After winning back-to-back games, including an impressive win over Inter last weekend Crotone are now just three points away from 17th placed Empoli. However, they have only won one away game all season so Toro will go into this game as heavy favourites. Torino recorded their first away win since November as they came from behind to beat Cagliari on Sunday afternoon. Brazilian defender Carlão made his debut at centre back, whilst Toro lined up in a new 4-2-3-1 formation with Adem Ljajic moved into a more central role. With less than twenty minutes gone on the clock, the Granata conceded a penalty when Carlão was adjudged to have pulled back Artur Ionita in the area, and Marco Borriello stepped up to convert. However, Toro soon equalised as nice interplay between Andrea Belotti and Adem Ljajic resulted in the Serbian scoring an exquisite strike from distance. Torino then took the lead six minutes later when Davide Zappacosta's cross was headed home by Andrea Belotti - his 24th league goal of an incredible campaign. Torino extended their lead in the early stages of the second half, as Ghanaian midfielder Afriyie Acquah once again scored a great goal from outside the area after receiving a pass from Iago Falque. Cagliari scored a second goal in injury time to give Toro a nervous few moments as Kwang Song Han became the first North Korean to score in Serie A as he headed home Diego Farias' cross, but Torino held on for all three points. 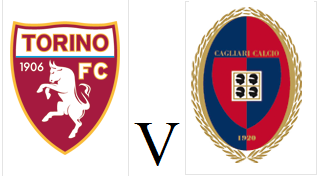 Torino will look to earn their first away win since November when they face Cagliari on Sunday afternoon. Luca Rossettini is suspended, so Arlind Ajeti or Carlão could make a rare start to partner Emiliano Moretti in central defence. Cagliari are one of the few teams to have conceded more goals than Torino this season (59) but despite their troubles at the back. they are well clear of the bottom three. However, they have only won one of their last five home matches so Toro shouldn't be too apprehensive ahead of their trip to Sardinia. Torino fought back from 2-0 down to earn a point at the Stadio Grande Torino against Udinese on Sunday. David Zappacosta came close to giving Toro an early lead, but his long range shot whistled narrowly past the post. At the other end, Duvan Zupata somehow managed to miss from Stipe Perica's cross when it seemed easier to score. Andrea Belotti and Luca Rossettini both hit the woodwork with headers just before the break as an entertaining half somehow ended goalless. However, five minutes into the second half, Czech midfielder Jakub Jankto intercepted Emiliano Moretti's pass before firing a fierce left footed shot into the top corner. Belotti hit the bar for a second time before the Granata were caught on the counter attack and Perica doubled Udinese's lead from close range. However, two minutes later, Toro were given a lifeline when Emiliano Moretti reacted quickest to swivel and score. The comeback was complete when Andrea Belotti headed home Zappacosta's excellent cross to equalise with seven minutes remaining an earn Toro a deserved point. Torino will look to continue their impressive home record when they face Udinese on Sunday afternoon. Leandro Castan and Mirko Valdifiori could feature for the Granata, whilst Iago Falque should replace Juan Iturbe in the front three. Opponents Udinese are unbeaten in the their last three matches, winning the last two before the international break so should prove to be a tough test. Torino earned a deserved point in an entertaining 2-2 draw with in-form Inter on Saturday evening, although two Joe Hart errors proved costly. Juan Iturbe was once again preferred to Iago Falque, whist Cristian Molinaro started in place of Antonio Barreca and Afriyie Acquah was given a rare start in midfield. The away side took the lead mid-way through the first half as Joe Hart let a low shot from Geoffrey Kondogbia squirm past his right arm. However, Toro were level six minutes later when Adem Ljajic's corner was flicked on by Emiliano Moretti and Daniele Baselli headed in from five yards out. Toro took the lead on the hour mark as a flowing counter attack was finished off by Afriyie Acquah whose sublime shot found the far corner. However, Inter would equalise moments later as Joe Hart failed to claim a cross and that allowed Antonio Candreva to volley home. Ivan Perisic missed an excellent chance to claim all three points for the visitors in the dying seconds, but he blazed his volley over the bar. Therefore, both teams had to settle for a point which was probably a fair result as neither side deserved to be on the end of a defeat. 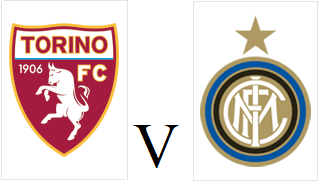 Torino will look for a third consecutive victory at the Stadio Grande Torino when they face Inter on Saturday evening. Leandro Castan could return to the starting eleven to try and help a Toro defence that has not kept a clean sheet since January, whilst Iago Falque will also be pushing for a recall. Opponents Inter are in excellent form and have won four of their last five games, including a sensational 7-1 victory over Atalanta last time out. Torino's poor away record continued on Monday evening as they conceded two late goals to lose 3-1 against Lazio. The home side dominated the first half, with former Toro striker Ciro Immobile going closest but he was denied by Joe Hart. Sinisa Mihajlovic made a rare defensive change to begin the second half, with Cristian Molinaro returning from injury to replace Daniele Baselli as the Granata changed to a more conservative formation. However, Lazio would take the lead just before the hour mark as Immobile capitalised on Emiliano Moretti's failure to clear a low cross. Maxi Lopez came on with Torino looking to force an equaliser, and the Argentine striker provided it after being on the pitch for less than ten minutes as he headed home Juan Iturbe's free kick. Torino were looking a threat on the counter attack, but with less than five minutes remaining, substitute Keita Baldé gave Lazio the lead thanks to an outstanding long range effort. Felipe Anderson added a third goal in injury time with Torino chasing an equaliser, as the Granata's poor away form continued. 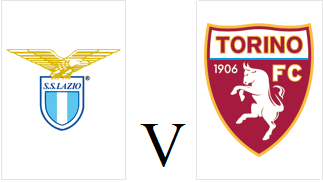 Torino will look to improve their horrendous away record when they travel to the capital to face Lazio on Monday night. Toro have only won two away games all season - both against teams in the bottom three, Palermo and Crotone. Torino have not kept a clean sheet since January 8th, which could mean fit again Brazilian defenders Carlão and Leandro Castan could feature. Lazio are still in the race for a Champions League spot and have won four of their last five Serie A games, with former Toro striker Ciro Immobile scoring in his last three appearances. Andrea Belotti produced yet another incredible performance in what has been a remarkable personal campaign so far by scoring an eight minute hat-trick in Sunday's 3-1 victory over Palermo. Belotti and Iago Falque both went close in the early stages, but it was the away side who took a shock lead on the counter attack through Andrea Rispoli's long range effort. Toro were struggling to find a breakthrough against a stubborn Palermo side, and Sinisa Mihajlovic introduced Adem Ljajic, Juan Iturbe and Maxi Lopez off the bench in search of an equaliser. With seventeen minutes remaining Belotti scored his first of the evening as he headed home from a corner. Toro then took the lead three minutes later as Adem Ljajic's excellent free kick was volleyed in by the former Palermo striker. Things got even worse for the away side as Hungarian winger Norbert Balogh was dismissed for a second yellow card. Belotti completed his hat-trick three minutes later, as once again Belotti headed home a corner which Rosanero keeper Josip Posavec once again came for, and failed to claim. This was an important victory for Toro against a team in the bottom three, and Andrea Belotti once again showed his importance and is now the current Serie A Capocannoniere with 22 goals. Torino will be looking to complete their first league double of the season when they face Palermo at Stadio Grande Torino on Sunday afternoon. Toro beat the Rosanero 4-1 in Sicily back in October, and a repeat of that scoreline would certainly lift the mood in the Granata camp after a disappointing few months. Captain Marco Benassi is suspended, so Samuel Gustafson or Afriyie Acquah should deputise, whilst fit again Luca Rossettini should replace error-prone Arlind Ajeti. Palermo currently occupy the final relegation position and are seven points away from 17th placed Empoli. Whilst form has improved under coach Diego Lopez, they have lost three of their last four away games - although they did pick up a surprise point away to Napoli in January. Torino fought back from 2-0 down against Fiorentina on Monday night to somehow earn themselves a point. Arlind Ajeti returned to the centre of defence in place of Lorenzo De Silvestri, whilst Lucas Boyé was preferred to Adem Ljajic on the left wing. Toro were behind after only eight minutes as hesitant defending allowed Riccardo Saponara to score after Joe Hart had parried Borja Valero's initial effort. An error from Ajeti put Nikola Kalinic through on goal to double the Viola's lead, but the Croatian international was denied by Hart. Fiorentina were creating chances almost at will, and deservedly doubled their lead when Kalinic headed home Valero's corner. Belotti would make amends three minutes later as he headed home from close range after an excellent assist from Emilano Moretti. The home side's fragile confidence was now beginning to show, and with only five minutes remaining Toro scored an equaliser as Andrea Belotti scored his second of the game after Daniele Baselli's clever assist. Toro somehow emerged from Florence with a point despite only really turning up for the final thirty minutes, and the game should have already been beyond them by that point. Whilst the character shown to get back into the game was admirable, the performance in the first hour was certainly concerning. evening in search of a long-awaited three points on the road. Brazilian defenders Carlao and Leandro Castan miss out once more, so full back Lorenzo De Silvestri could continue at centre back against his former team. Fiorentina were knocked out of the Europa League on Thursday despite holding a 3-0 aggregate lead at one stage against Gernan team Borussia Mönchengladbach, so Toro will be looking to exploit any confidence issues from the home side. Torino's terrible away form continued as they were thumped by an impressive Roma side 4-1 at the Stadio Olimpico on Sunday evening. Full back Lorenzo De Silvestri was preferred to Arlind Ajeti in the unfamiliar role of central defence, as Davide Zappacosta also regained his place in the starting eleven. The home side took the lead after only ten minutes as Edin Dzeko curled a low shot past his former Manchester City team mate Joe Hart from just outside the area. That lead was doubled just four minutes later as Mohamed Salah volleyed home after Antonio Barreca failed to clear. Salah was causing the Toro defence all kinds of problems, and it was almost 3-0, but his left foot strike struck the post. Toro were having a reasonable amount of possession, but were unable to create clear cut chances, with Serbian midfielder Sasa Lukic going closest with a long range shot that went narrowly wide. Leandro Paredes added a third goal for Roma mid-way through the second half with a sensational strike from distance after Toro failed to clear a corner. Maxi Lopez came on to make a rare appearance in the closing stages for Toro, and the Argentine scored his first goal of the season with five minutes remaining as he beat the offside trap and finished well beyond Wojciech Szczesny. However, there was still time for Roma to score again with Radja Nainggolan adding a fourth in injury time to seal a convincing victory. Torino will travel to the capital hoping to improve their miserable away record, with the Granata win less on the road since November. Daniele Baselli and Mirko Valdifiori have both returned to the squad following suspension, whilst Davide Zappacosta could replace Lorenzo De Silvestri at full back. Roma have a 100% home record this season, winning all eleven of their games at the Stadio Olimpico, and come into this game off the back of an impressive 4-0 victory at Villarreal in the Europa League on Thursday. 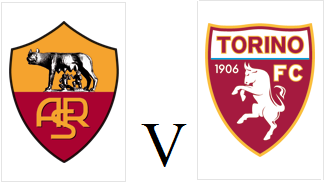 However, Toro did win the earlier meeting between these two sides 3-1 back in September which was probably the Granata's best performance of the season so far. Torino finally won their first game of the New Year after an eight goal thriller against Pescara on Sunday afternoon. The Granata made a stunning start and were ahead after only two minutes when Iago Falque volleyed home his tenth goal of the season. Toro made it 2-0 moments later as Arlind Ajeti capped his home debut with a goal as the Albanian international found the net with the aid of a deflection. With only fifteen minutes on the clock Andrea Belotti added a third after an excellent individual effort which culminated in scoring with a low shot from outside of the area. Joe Hart made an outstanding save to deny Gianluca Caprari and ensure Toro made it to half time with their three goal lead in tact. Adem Ljajic ended his goal drought early in the second half with a curling effort which Pescara keeper Albano Bizzarri would have been disappointed not to save. Belotti added his second goal of the game on the hour mark as he headed home Falque's cross to put Toro 5-0 up. When Arlind Ajeti put through his own net with twenty minutes remaining it seemed to just be a consolation, which in fairness, the away side had deserved. However, moments later, former Manchester City midfielder Ahmad Benali struck from close range to make it 5-2. And there were a few Toro fans sitting uncomfortably when Benali beat his former team mate Joe Hart again as the Granata defence failed to clear their lines. Toro were able to hold on to claim all three points, but it really should have been a much more convincing margin of victory. Torino will look to win their first game of 2017 at the seventh attempt when they host bottom club Pescara on Sunday afternoon. After an impressive start to the season, the Granata have struggled as of late with a number of absences in the defence and midfield not helping their cause. Luca Rossettini and Leandro Castan miss out once again, whilst Mirko Valdifiori and Daniele Baselli are both suspended. This could mean a rare start for young Serbian midfielder Sasa Lukic, whilst Afriyie Acquah has returned to the squad following participation with Ghana at the African Cup of Nations. 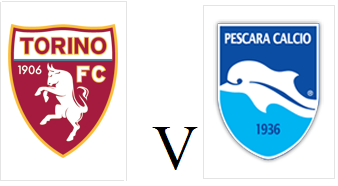 Pescara are rooted to the bottom of the Serie A table, and have only won one game all season - a match which was awarded to them after Sassuolo fielded an ineligible player. Torino's miserable record from the penalty spot continued on Sunday afternoon as the Granata were held to a 1-1 at Empoli. Arlind Ajeti made his Toro debut at centre back, whilst Daniele Baselli was also recalled to the starting eleven. Torino made the perfect start and were ahead after only eleven minutes when Adem Ljajic's excellent free kick was diverted goal wards by Andrea Belotti - his fifteenth league goal of the season. Empoli were close to scoring a spectacular equaliser, but Georgian striker Levan Mchedlidze saw his acrobatic effort go narrowly wide of the post. On the stroke of half time, the dreadful Tuscan conditions proved costly for Toro as Arlind Ajeti's back pass held up on a puddle just outside the area and Manuel Pucciarelli nipped in to round Joe Hart and equalise. The Granata had an excellent chance to equalise ten minutes into the second half when they were awarded a penalty when Ljajic was tripped in the area after a jinking run. However, Toro's poor record from the spot continued as Iago Falque became the third player to miss a penalty this season as he was denied by Lukasz Skorupski. The poor conditions made it difficult for both sides to create clear cut chances and that meant Toro had to settle for a point, and their search for a first win of the new year continues.